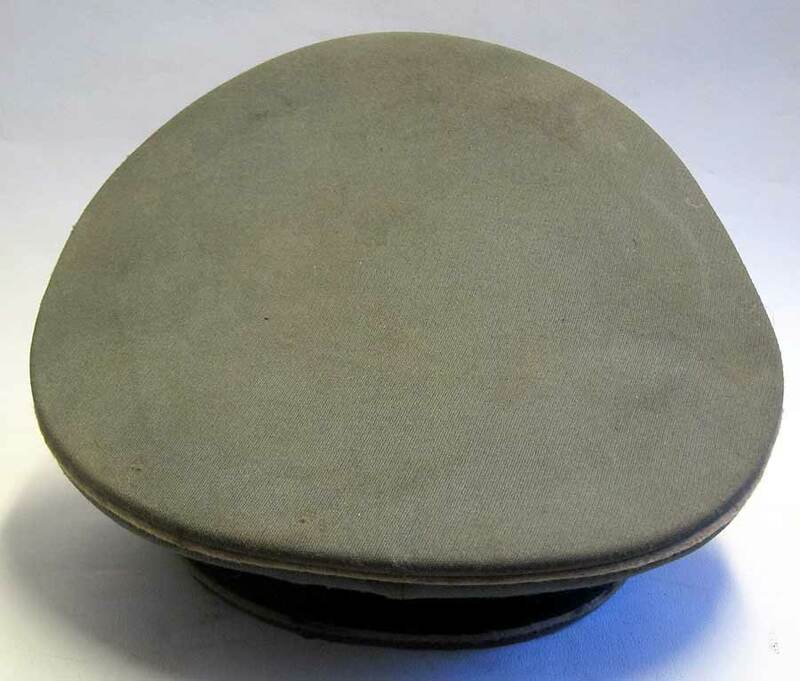 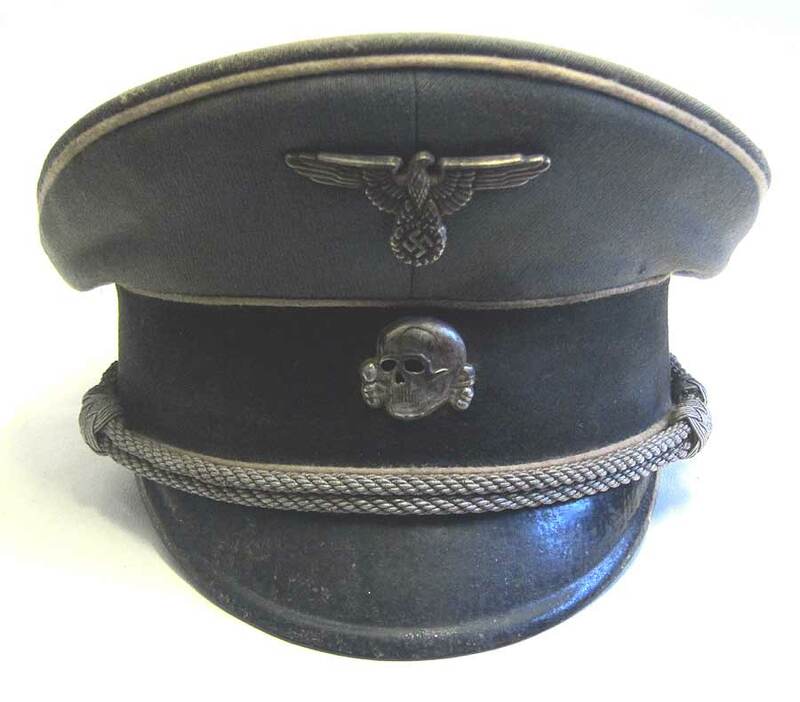 This is a reproduction, medium aged, Schirmmützen cap for a Waffen SS Officer. 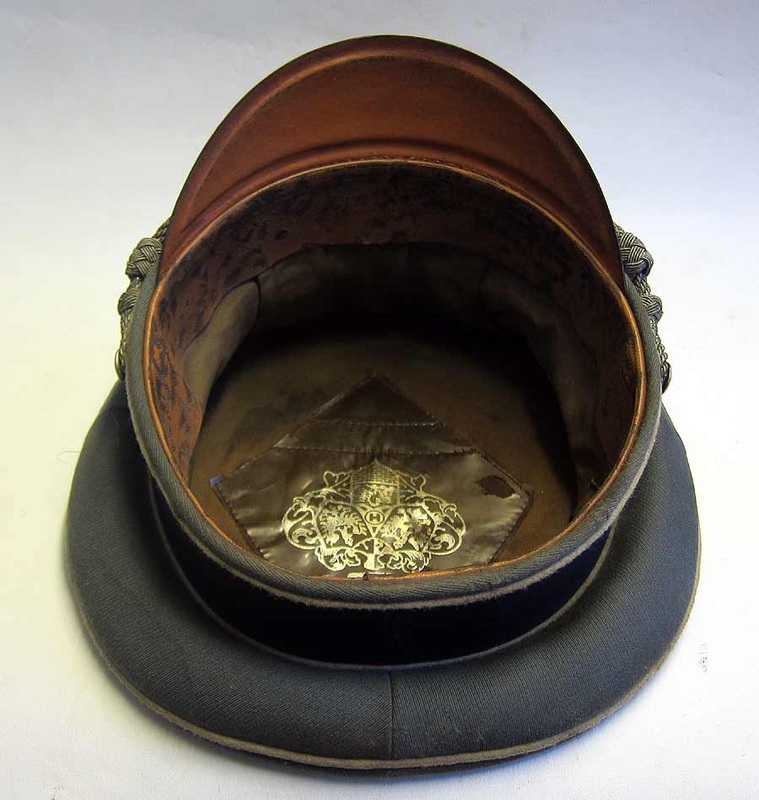 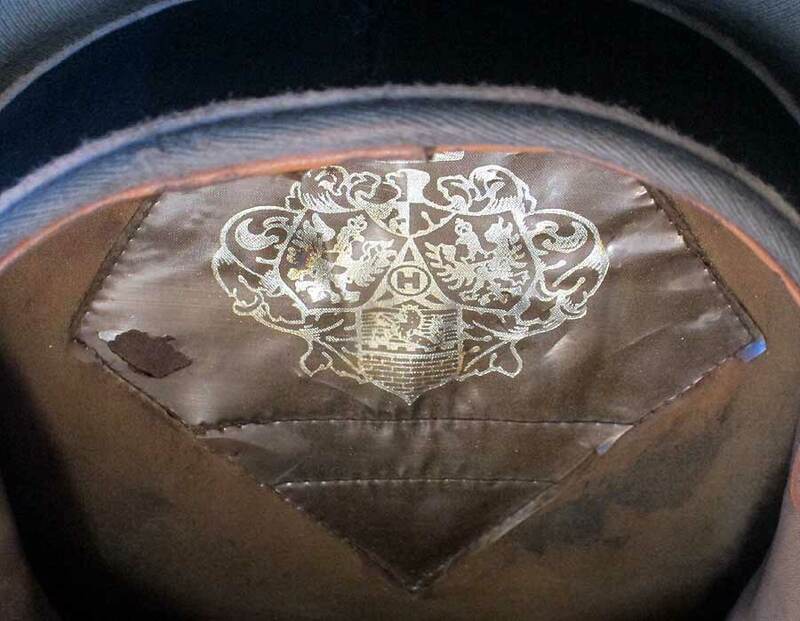 The maker is unknown but it has two makers marks one in the crown and one on the leather sweat band. 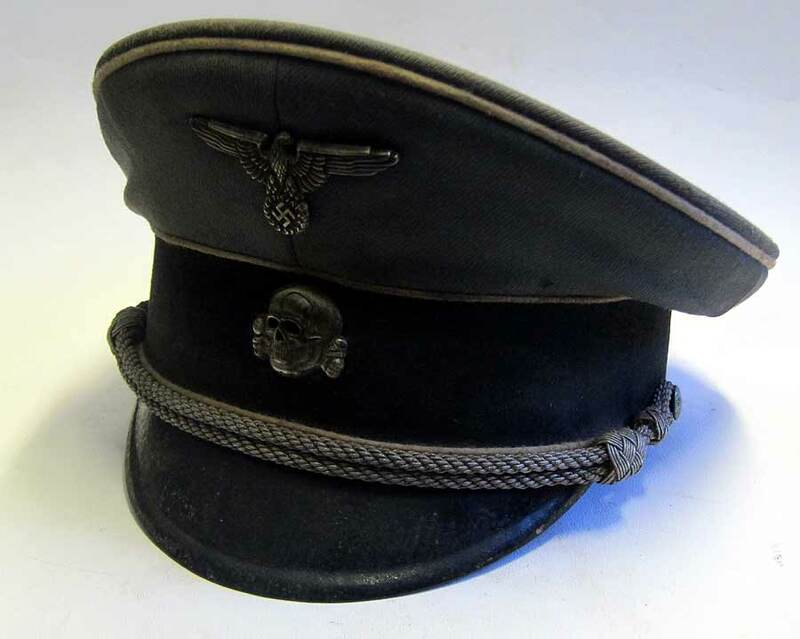 It is a super Schutzstaffel (SS), German officers cap, made of top quality material and in the same method and materials as in the originals. 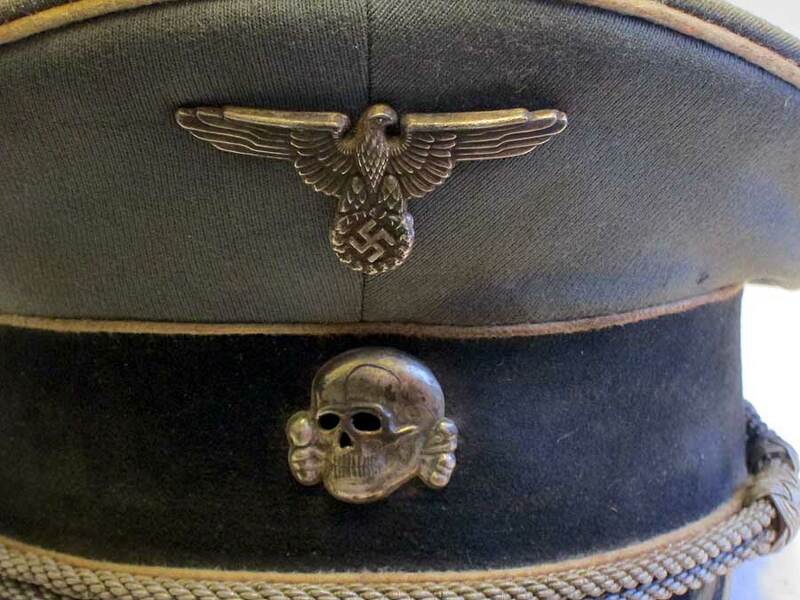 In aged condition it is difficult to tell does not date from WW2. The insignia is museum quality and both eagle and death heads skull insignia show light to medium wear. 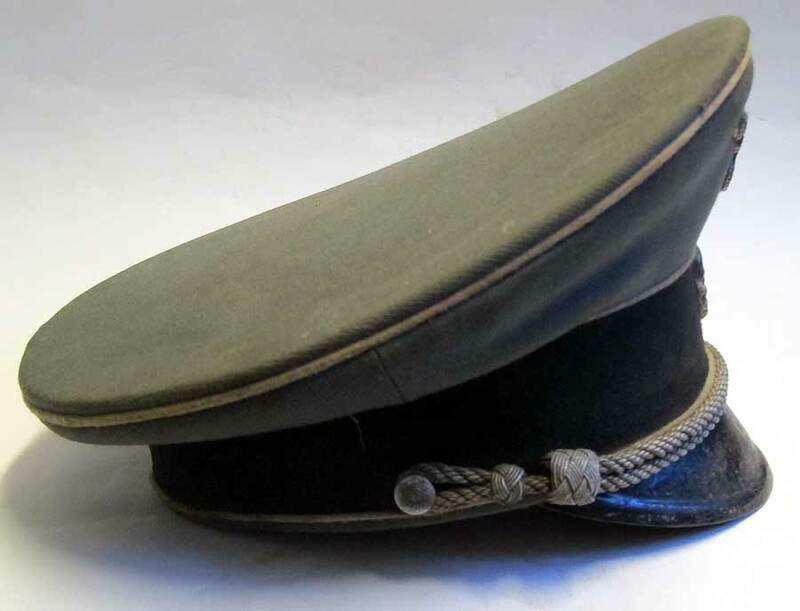 We have made up this cap to look like one which has seen combat. 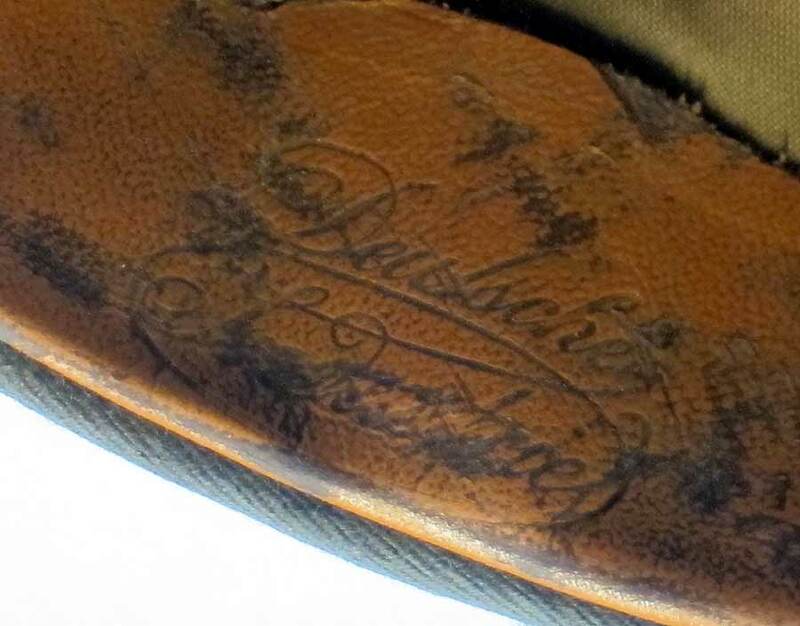 The leather sweat band has many marks to it as well as a makers mark, the celluloid sweat protector has a large makers mark and shows light age colouring. 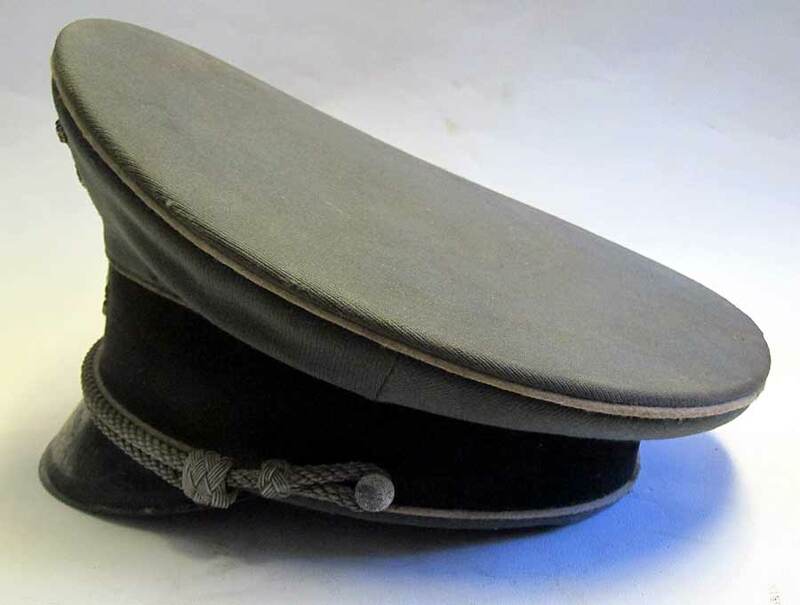 The white piping is grey, dirty and old looking. 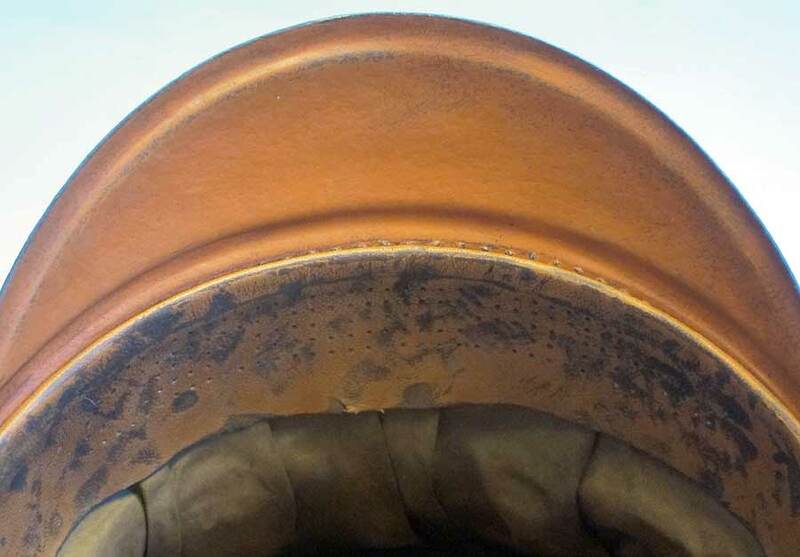 The chinstrap has lost its sheen as has the vulkanfibre peak both on the inside and out.